Often attributed to Abraham Lincoln, this quote from the Bible was used by Lincoln in his famous speech speaking on a divided nation on the brink of Civil War. Appropriately, it also refers to the latest Captain America movie about to hit theaters on May 6th. 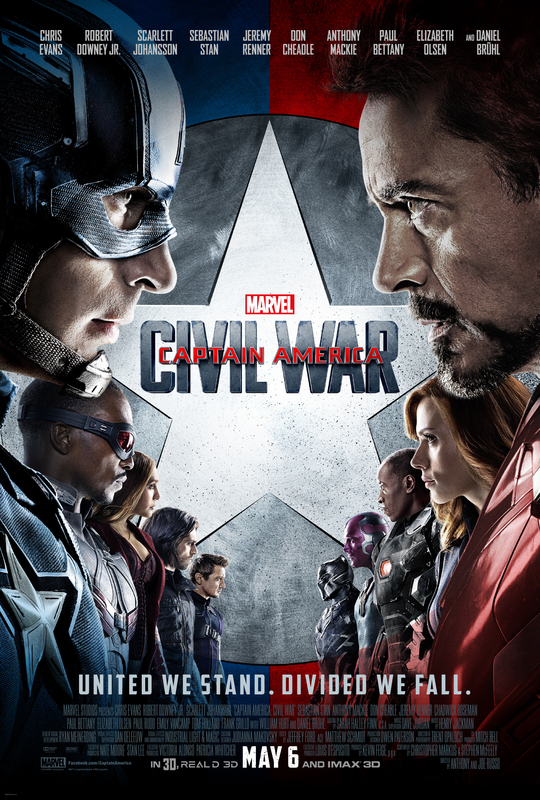 Captain America: Civil War is an action-packed, roller coaster of a movie that has some incredible special effects and stunning fight sequences. But it isn’t light on ideas. If you’re hoping to see a movie as mentally engaging as it is visually stimulating, you’ve got to make sure you put this one on your list. At the crux of it, this movie isn’t about good guys and bad guys (although there are both). It’s about a conflict of equally valid ideas. One one hand is Team Iron Man who is confronted during the movie about the real life consequences of the Avengers’ battles and has to ask himself the question, “Who is responsible?” Obviously when the Chitauri attacked the world (Avengers), the world needed saving. 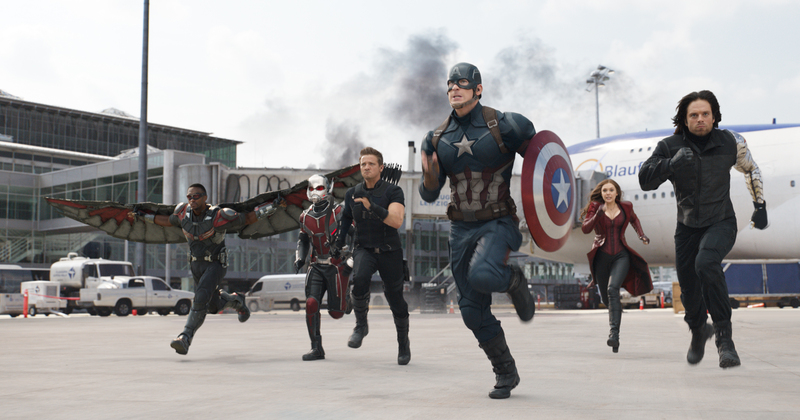 Obviously when Ultron captured Sokovia, the Avengers needed to step in to stop him. But is it that obvious? A group of super-powered individuals steps in and decides for themselves how, when, and where they should stop these threats. But who watches them? Who holds them accountable? Tony Stark feels this more than anyone else as he feels personally responsible for the Ultron threat and can’t help but wonder if the Avengers need oversight. On the other hand is Team Cap. Captain America, while mourning the lives lost and the damage done, also realizes that had it not been for their swift action in so many instances, there might not be a world to complain about the consequences. It’s their freedom from oversight that allows the Avengers to do what they do best. Cap asks the question, “What happens when they decide not to send us somewhere we know we need to go? 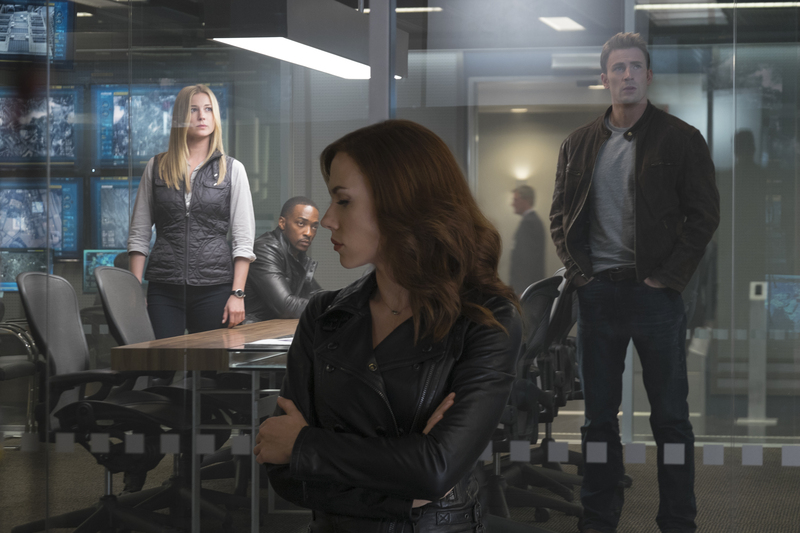 Or they send us somewhere we know we don’t belong?” Cap realizes that entrusting a group of people to determine for the Avengers what they need to do and don’t need to do is a recipe for corruption and political gamesmanship. The Avengers need to be above that. Caught in the middle of this ideological battle are the Avengers and an assembled group of superheroes – some of whom we are meeting for the first time. Hawkeye returns from a very short retirement to join Team Cap as does Falcon (who is even more awesome in battle than ever before), Scarlet Witch, Winter Soldier, and Ant Man. For Team Iron Man there is Vision, Black Widow (quite a surprise her joining Tony’s team), War Machine and two newcomers – Black Panther and Spider-Man! Black Panther is a fierce, tough, honorable, no-nonsense man who doesn’t hide behind a mask, but instead bears it as a symbol of his people. He is more than just a costumed hero – he is royalty – literally. Played expertly by Chadwick Boseman (perhaps best known for portraying Jackie Robinson in 42), Black Panther joins Team Iron Man for personal instead of ideological reasons. Armed with incredible fighting skills and claws made of vibranium, he is a fearsome opponent. Too bad we have to wait two years to see his movie! His character is commanding and should be exciting to watch. 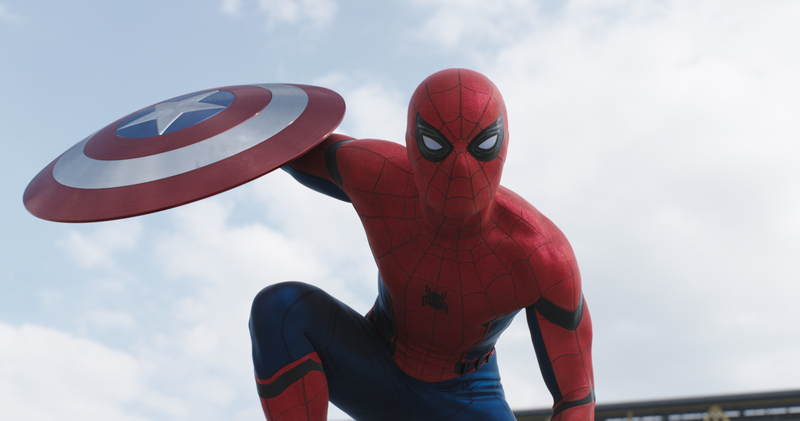 Spider-Man makes his Marvel Cinematic Universe debut in Captain America: Civil War and his appearance also acts as a preview for his own movie being release as Spider-Man: Homecoming next year. No details have yet been released. I loved how this iteration of Spidey reflects the youthful charm and talkative nature of the Peter Parker in the comic books. His fascination with the world around him makes him easy to relate to and the mentor/student, surrogate father/son dynamic with Tony Stark is fun to watch. Casting Marisa Tomei as Aunt May was genius! It makes way more sense that Peter’s aunt would be a woman closer to her 40’s than her 80’s. Makes me anxious to see Spider-Man’s movie next year. What I love about this movie is that it’s not just Avengers 3 in disguise. It really is a Captain America movie and follows his hero’s journey specifically. While it is filled with tons of A-list actors and characters, Chris Evans’ Captain America / Steve Rogers really is the heart of the movie. It’s his relationships (yay Sharon Carter! ), his friendships, his ideals, and his path that take you from beginning to end. Unlike non-MCU films (thinking specifically of X-Men) where you have a lot of characters thrown in with little to no character development just for the sake of putting them in, Marvel does an expert job of weaving a story that builds in both action and character while letting us geek out on things like Spider-Man’s eyes! This is a great movie filled with action, drama, surprising twists, and humor – actually lots of great humor. It also sets the stage quite nicely for future films – Vision wanting to know more about the gem in his head (hints at Avengers: Infinity War perhaps? ), quick quips are made about Hulk and Thor having gone missing (soon to be in his third movie, too – will there be a Hulk movie eventually? ), and an ending that leaves you wondering, “What next?” Of course, now you’ll have to go see it.